The Papua New Guinea National Research Institute (PNG NRI) released its latest report today: WHY DO SO FEW PACIFIC ISLANDERS TAKE ADVANTAGE OF OPPORTUNITIES IN PAPUA NEW GUINEA’S LABOUR MARKET? (PNG NRI Issues Paper 22). The Issues Paper discusses labour mobility from Pacific Island countries (PICs) into PNG. Although the number of work permits issued to Pacific islanders has increased in the last 10 years, it remains low compared to the overall number of non-citizen workers in PNG. In 2015, 511 foreign work permit holders were from PICs, which is equivalent to 1.2% of the total 41,096 active work permits held by non-citizens. Fijians were the main group of Pacific Islanders, at 413. 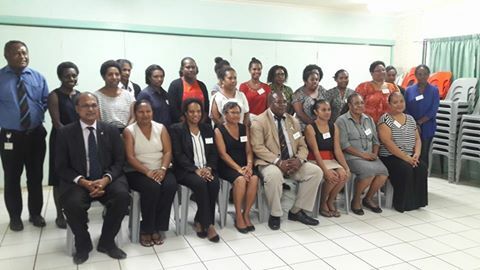 The paper argues there is scope to increase labour mobility from PICs to PNG by improving collection of labour market data, promoting the Melanesian Spearhead Group’s (MSG) Skills Movement Scheme (SMS), increased efforts by Labour Departments and the introduction of a preferential work permit scheme for Pacific Islanders in PNG.